I’m calling a cap on Heights of Orlanth, but there are spaces available in Mystery of Tarson and the Emperor Protects. Either use the Contact form to let me know you want to join in advance or turn up on the day. 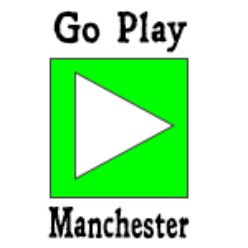 You can now sign up for Go Play Manchester II on Sunday 10 Feb 2019 and choose the game you want to play. 3. Notification of who is booked into what game will be published on the Friday, 8 Feb, before the event on the website. In the very unlikely event that you don’t get your 1st or 2nd choice, I will contact you via email to discuss possibilities, prior to the final allocation of games. You can now sign up for Go Play Manchester I on 13th Jan 2019 and choose the game you want to play. The Sorcerer Under the Mountain, Dungeons and Dragons 5th Edition, run by Newt Newport. Force of Habit, Star Wars Edge of Empire, run by John Ossoway. Night of Blood, Warhammer Fantasy Roleplay 4th Edition, run by Guy Milner. Valkyrie-9, The Cthulhu Hack, run by Paul Baldowski. Hunting High and Low, Hunters of Alexandria, run by Paul Mitchener. 3. Notification of who is booked into what game will be published on the Friday, 11 Jan, before the event on the website. In the very unlikely event that you don’t get your 1st or 2nd choice, I will contact you via email to discuss possibilities, prior to the final allocation of games.